Each stage made me giggle, purely through expression or just how silly it looked - marvellous! Lovely stuff Matt! 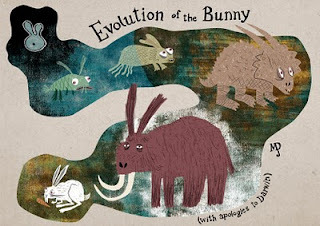 My favourite stages were the fish and the rabbit, with the mammoth coming in a close third. They're all superb though. A great idea and take on the topic. Didn't see it coming at all. 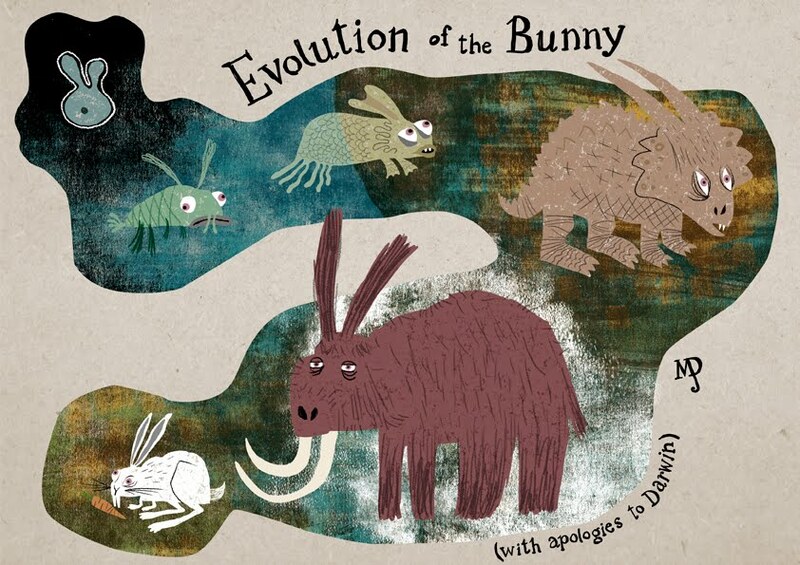 I've just noticed the webbed ears on the mudskipperbunny! Brilliant!